As you exit the elevator, of the Redlands University Building. Restrooms and a beautiful view are near by the Kindred Being office. Welcome to the shared lobby for Kindred Being. Where the journey happens. We use a comfortable recliner for our KBBQH sessions. Water Alchemy is an important aspect of the KBBQH journey. Crystals set with intention and from the Kindred Being shop, set the energy for the space. Crystals clear, protect, and enhance healing energy during our KBBQH sessions. The Kindred Being office uses crystal gridding to protect, heal, and welcome Guides, Angels, as well as all high vibrational beings. Selenite and Shiva Lingham hand stones guide the KBBQH journey. According to Beyond Quantum Healing creator, Candace Craw Goldman, "Beyond Quantum Healing is a flexible highly adaptable Service To Others Concept/framework/modality. It's foundation is based upon the classic past life regression model. BQH focuses upon intention and consciousness expansion and has no rigid scripts or rules." Quantum Healing is described as "A broad definition to include types of healing not specifically physically focused." Deepak Chopra defines it in this way "extraordinary ways of healing related to Quantum Physics". He has also said "Quantum healing is healing the body mind from a quantum level. That means from a level which is not manifest at a sensory level. Our bodies ultimately are fields of information, intelligence and energy. Quantum healing involves a shift in the fields of energy information, so as to bring about a correction in an idea that has gone wrong. So quantum healing involves healing one mode of consciousness, mind, to bring about changes in another mode of consciousness, body". Furthermore, a healer is defined as "an assistant" or "Living a life in service to others". As you can see this concept has a wide scope of capabilities. Kindred Being uses Beyond Quantum Healing as a past life regression and hypnosis service. The goal of each KBBQH session, is to assist in inducing our clients into a relaxed state of consciousness. When this relaxed state is achieved, past life regression is possible as well as access to the sub conscious or super conscious part of the mind. We say that this is the goal, because every experience is up to the client and every experience is unique. People magazine describes past life regression in an accurate manner "Past-life regression is essentially guided hypnosis. You're put into a deeply relaxed but still conscious state and asked questions about what you see or feel; images and sensations that appear are then interpreted into a cohesive vision of a past life". In our use of past life regression, the client is enabled to relax by various means. These can include but are not limited to, the use of music, sounds, crystals, the voice, scents, and meditation. This state of relaxation can quiet the ego or conscious mind and allow the super conscious mind to come through. This is the part of the mind where all information that we may not be conscious of is stored. With this access, we are able to assist Clients to remember and experience other lives. Every experience is unique. Many are able to see and experience these lives in detail. The aim is then for the Client to use this information to heal emotional and physical wounds that the Client may be carrying in their current life. The Subconscious or Super conscious is described as " The 88% of our mind that is mostly below the level of our awareness. The part of our mind responsible for reflexive action, ideomotor responses, and contains the positive and negative associations we've made throughout our life." The Higher Self is described as " An accepted metaphysical term for the highest aspect of you that can be attained and held in the physical body. It is the part of you that knows, sees, and understands at the highest level possible." The Super Conscious or Higher Self has access to all of the information that has been gained by one's soul during it's existence. This means that one's Higher Self "can" answer any questions that a person may have. This includes but is not limited to questions about love, finance, health, wellbeing, family, the future, the past, and any questions about existence in general. Notice we said "can", this is because one's Higher Self wants what's best for the growth of one's soul. With this being the Higher Self's main concern, it may decide that revealing the answer to some questions may not be in the client's best interest. A healer is "any person who assists another in healing themselves." As practitioners we do not heal! When possible, we guide the Client towards self healing. In a Kindred Being BQH session, we may call in the assistance of the Client's Spirit Guides, Angels, Source energy, and other high frequency beings as well as the assistance of the practitioners own team of high frequency helpers. Emotional, mental, and physical dis-eases may be addressed with in session self healing. The client may also receive take home advice for future healings. In a Kindred Being BQH session you can gain information about your ailments as well as why you are carrying them. The basic word Dis-ease when simply separated into two words illustrates that disease can be thought about as an imbalance of "ease" or emotions. The healing approach is to assist the client towards a soul level healing. The connection with the higher self (super conscious) and access to one's past lives, depends wholly on one's ability to relax and "allow". Opening one's self up to increased connection by relaxing one's need to control, is vital to the success of a Kindred Being BQH session. The elements that may hinder a session may be, worry, fear, expectation, and doubt. These are elements that can get in the way of a client's ability to relax. Again, each session is unique and guided completely by the intentions of the client. Remembering that the Higher self is a part of you and is always in fact connected to you is important to the process. The Higher self is not an outside force that takes over ones body. It is a very subtle voice that can communicate through knowing, seeing (pictures), feeling or many more ways. The Client lends their voice to the Higher Self in order to vocalize what the Higher self is communicating in these ways. We believe that every session happens just as it should. This means that whether the client is able to relax into the experience or not, there is a lesson there for the client from the Higher Self. We believe that all clients are guided to experience Kindred Being BQH by their Higher selves, as well as those of the practitioner. These sessions are designed by "those" who know what we need best, our spiritual teams. In this way, every session is an amazing success! During a Kindred Being BQH session, the client is completely cognizant. The client is awake and aware of everything happening around them. They can hear every sound and respond to any question that they wish to. Clients are able to "wake" themselves up, and put themselves back in to the relaxed state at anytime during the session. The client is always in full control and can pause or stop the session at anytime. Altered states are not foreign to us. We experience altered states throughout our day. A few examples of common altered states are, before sleeping, upon awaking, while performing an automatic task such as cleaning, showering or brushing one's teeth, while watching T.V., etc.. The feeling can be very familiar and comforting. Beta state (alertness, active thinking, and concentration). Theta state (daydreaming, deep hypnosis, and light sleep). For an in-depth look into Hypnosis, our states of consciousness, and the parts of the brain active during a session, read our blog article What Is Beyond Quantum Healing And How Does It Work?. The Kindred Being founders Lilah Moriarty and Jaime Rodriguez are offering Kindred Being Beyond Quantum Healing sessions in person in the US, Southern California area. 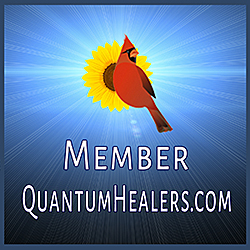 They are Certified to bring BQH healing to their clients. There are in person and online sessions available. Sign up for The Latest newsletter in the footer below to be on our email list. Can't travel to Southern California for a session? Let us know where you're located and we may be able to come to you! If we are able to connect with several Clients in the same area, we will travel to you. See our Kindred Being Beyond Quantum Healing Session Calendar to book your session. Still have questions about what a KBBQH Session is like? View a session first hand! Watch Session Videos. Contact us with any questions or comments. We would love to hear from you!